Read more about the Northwest Museum of Arts & Culture's 100 Stories — A Centennial Exhibition exhibit in this week's cover section. The first 15 "stories" in the exhibit are located off the museum campus, around Spokane and the region. Here, we take you on a visual tour of exhibit highlights in the downtown core. To take the tour yourself, visit the Spokane Historical website or download the app, and choose the 100 Stories tour. Expo ’74 was the first stop on our expedition through some of the 15 off-campus sites. As most residents know, the site of the World's Fair was converted into Riverfront Park and hosts some of the most recognizable structures in the city, such as the giant U.S. Pavilion. This structure currently shelters an assortment of carnival rides in the summer months and an ice-skating rink during the winter. But these events and rides are only a fraction of the grandiose entertainment that occurred in the park in 1974. We continued to stroll through Riverfront Park, now under consideration for future reconstruction, and in the process passed by several other structures that trace back to the World’s Fair production: the Convention Center, formerly constructed as the Washington State Pavilion, and the Looff Carrousel building along the edge of the south channel of the river. This World’s Fair Exposition in part provided access and interest in the Spokane River, its gorge-like drop-offs, and the power of the downtown falls. But for the century prior, the river had been a source of energy that the city capitalized upon. 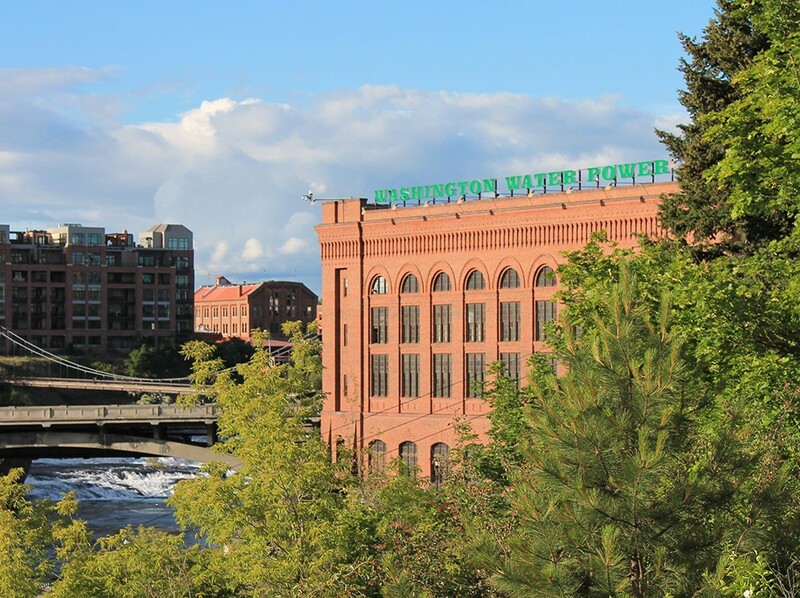 The Washington Water Power Company formed in 1889 to respond to a demand for electricity in the growing city of Spokane. They developed hydroelectric power plants along the Spokane River, and quickly overtook any smaller energy generation plants in the area. The power station, located near Monroe Street Bridge within the spray zone of the lower falls, is an idyllic view from the newly constructed Huntington Park. 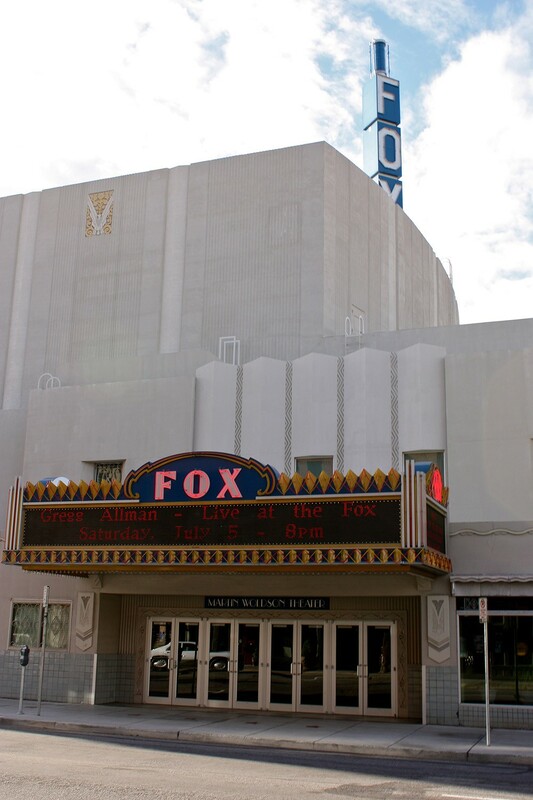 Following Monroe directly south from the park, we paid a visit to the Fox Theater. Construction of the theater, whose uniquely concrete design was referred to as futuristic at the time, occurred in the years following the stock market crash of 1929, and helped employ several hundred Spokane residents. 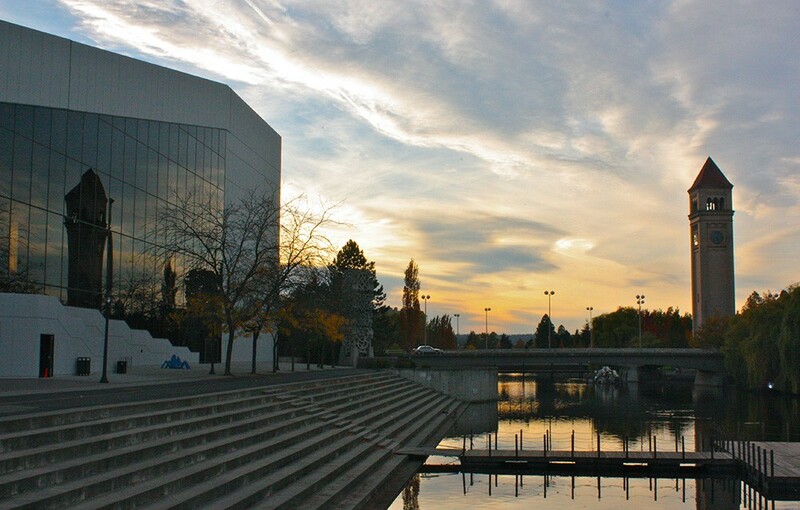 Bringing 30,000 residents to the streets on its opening night in 1931, it is now home to the Spokane Symphony orchestra. 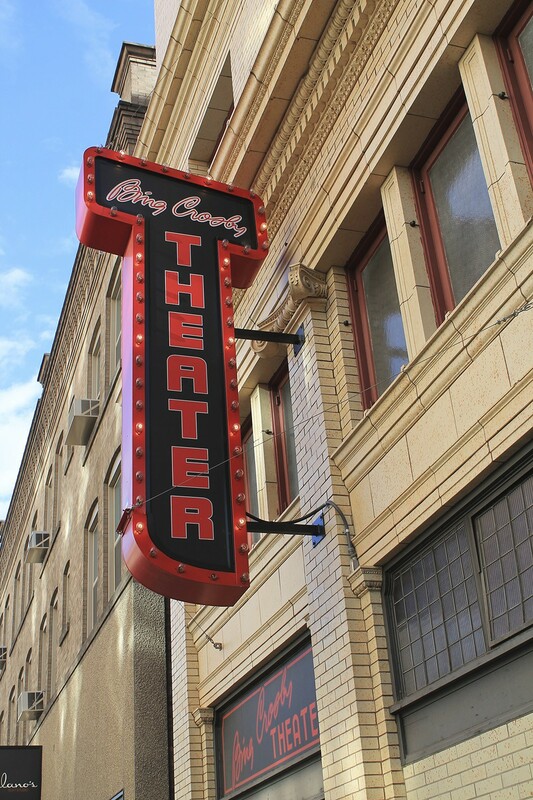 Sparing no expense, the Clemmer Theatre, now known as the Bing Crosby Theater, was built with the new idea that the ambiance of a theater was as important as what was being shown on its screen. Opening its doors in 1915, the theater has had a few other names since the Clemmer — the State, the Met, and finally the Bing Crosby. A total of 744 seats provide the opportunity for many to still enjoy live performing arts along with screenings of films. A half block down and a quick dash across the street, we entered the 100 Stories tour's next historic location. Walking through the revolving doors into the impressive and lavish interior that is the Davenport Hotel, it's not hard to picture what the landmark looked like when it opened in 1914. Following the great fire of 1889, Louis Davenport found the restaurant he had been leasing from his uncle destroyed. He opened a “Waffle Foundry” that he later relocated and renamed Davenport’s Restaurant. After acquiring the three-story building next door, he made plans to demolish the existing buildings and begin building plans. 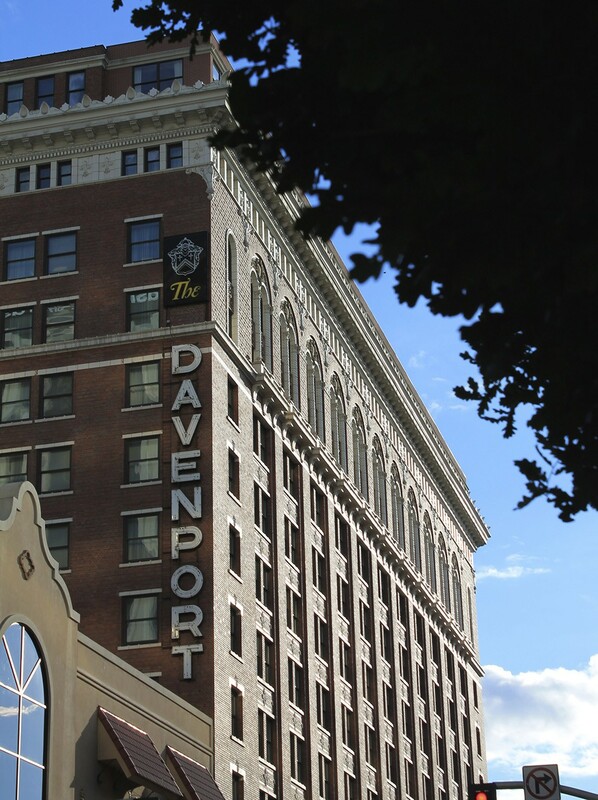 After facing an unpredictable future, the Davenport was purchased by Walt and Karen Worthy and underwent a complete restoration in 2000. It now continues to serve as a central gathering place with much of its original ambiance and design. Located on the eastern side of downtown, Trent Alley was once full of noodle houses, barbershops, hotels, fish markets, pool halls and other small businesses that were owned mostly by Japanese and Chinese entrepreneurs, and thrived previous to the Great Depression. Several of the businesses were documented by photographer Ryosuke Akashi, telling the stories of these entrepreneurs' working lives, as well as rumored ghost tales in the area. Several decades later, the core of the district was flattened and paved into a parking lot for Expo '74. 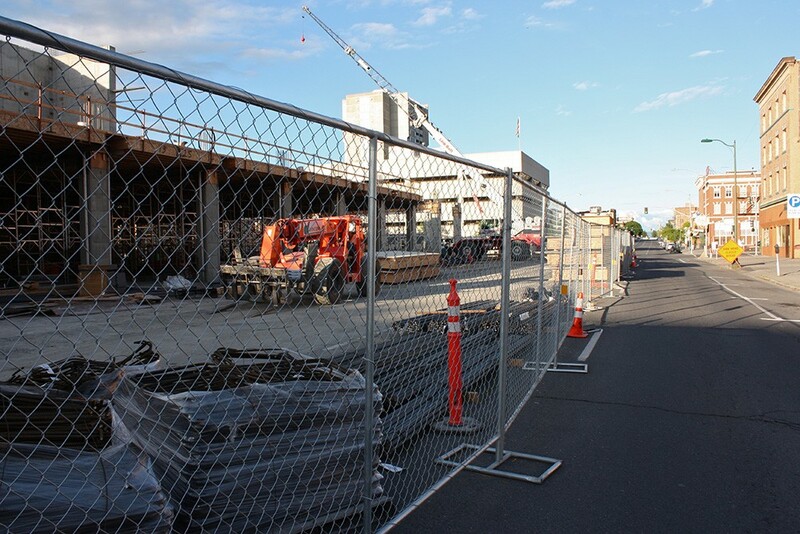 Now, the new Convention Center hotel being built by Walt Worthy is taking form in the block bordered by Howard and Bernard streets and Spokane Falls Boulevard and Main Avenue. Walking a little east of central downtown, a once booming brewery is now full of slightly less noisy happenings. Erected in 1903, Schade Brewery/Tower initially produced 35,000 to 40,000 barrels a year. During Prohibition, the Inland Northwest was full of those seeking and supplying alcohol because of Canada's proximity. 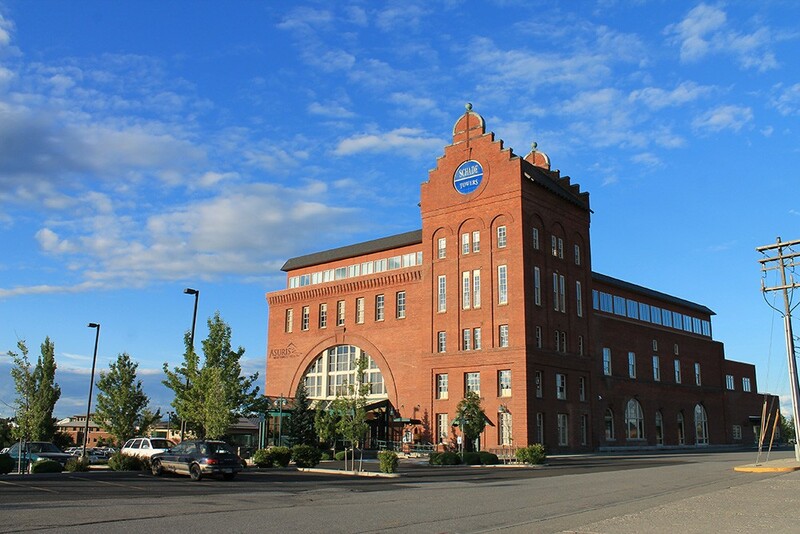 Bernhardt Schade served as the brewmaster who bought the entire block on East Trent on which to construct the brewery, bottling building, and steam/pump house all with European inspirations. Though still occupied, the brewery now houses offices and retail. All near the central downtown stretch of the city, these sites connected us to the development and history of Spokane through the last century and beyond. Walking to all of these locations provides for a relaxing afternoon reflecting on the region's history and how that past has contributed to the present.